I single-handedly run Party Plan Divas – the largest online training community for women in the home party plan/ direct sales industry where I have weekly webinars, exclusive training series, monthly social media parties, personally coach and train consultants one on one, as well as work with individual companies on their corporate level training and structure. I solely write for the PartyPlanDivas Blog which is full of training and inspiration – as well as three enormous Gift Guides each year where over 50 companies and consultants are featured along with giveaways in the months of April, July and October. I have a personal blog – MoscatoMom – where I work with companies like Honda, Dreamworks, Kia, Progressive, and more. Plus this is my place to share all of the things I love, places I go, and stuff I don’t screw up in the kitchen!! I own Java Hut – a coffee bar inside of our local civic center which I work for every hockey game, concert, conference, and media event. I run two Mastermind Groups which meet weekly for accountability and brainstorming. And that is just the “work” list. I also am a mother to two daughters with opposite school schedules, wife to a poker pro, mom to four furbabies, and a part of a ridiculously active social life. Still, I manage to find time to read, work out, go for jogs often, and spend at least one day a week palling around with friends, and my house is “guest-ready” 99% of the time. Oh, and dinner WILL be on the table every night at 5 pm, though I admit sometimes we go out to dinner, that has way more to do with my poor culinary skills than schedule or time. Not just any schedule or a “to do” list. 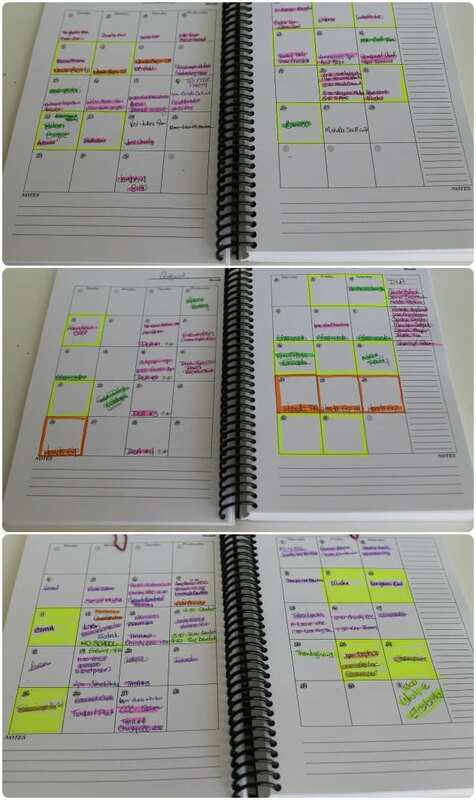 A full on, OCD – with a splash of ADD – schedule. Check out my Planner this week – yes, I still use paper!! 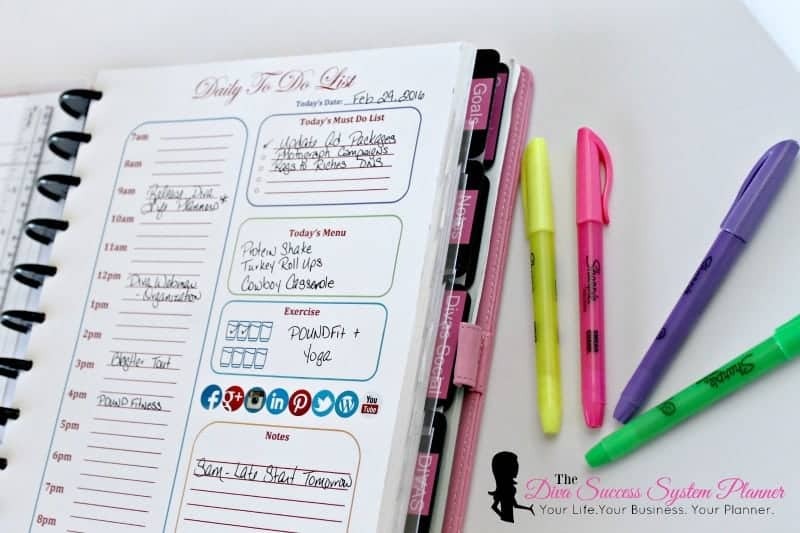 My Diva Success System Planner actually has everything from my coaching schedule to my post info, PR Reps, Conference details, Brand events, workouts, meal plans… all in one place. No app is going to touch that. Whether you are a party plan consultant, blogger, full-time employee, full-time business owner, mother, father, caretaker…. it is important for EVERYONE to manage their time well. Life is simply easier and more enjoyable when you aren’t stretched too thin and always pressed for time. So how do you get started? The first step is to make a list of “hats” that you wear – or what roles/responsibilities you have. For instance, my hats (in no particular order) are 1 – Party Plan Divas Coach, 2 – Blogger for MoscatoMom, 3 – Blogger for PartyPlanDivas, 4 – Coffee Shop Owner, 5 -Personal/Mom/Wife/Friend. Step 3 – Write it ALL Down. Everything. People who think they can “remember it all” are doing nothing but fooling themselves. Your schedule can become your “To Do” list and vice versa. When you have it ALL written down, you know EXACTLY what you have to do, what you can add or take away, and what you must accomplish every day before going to bed. Spend time every single day doing a “brain dump” of everything you must do. If you are a night owl, do this at night before going to bed, so you wake up to your tasks the next day. If you are a morning person, make this list while you are having your morning coffee. Just make sure you get into this habit DAILY and do it when you feel your best – not tired and crabby. 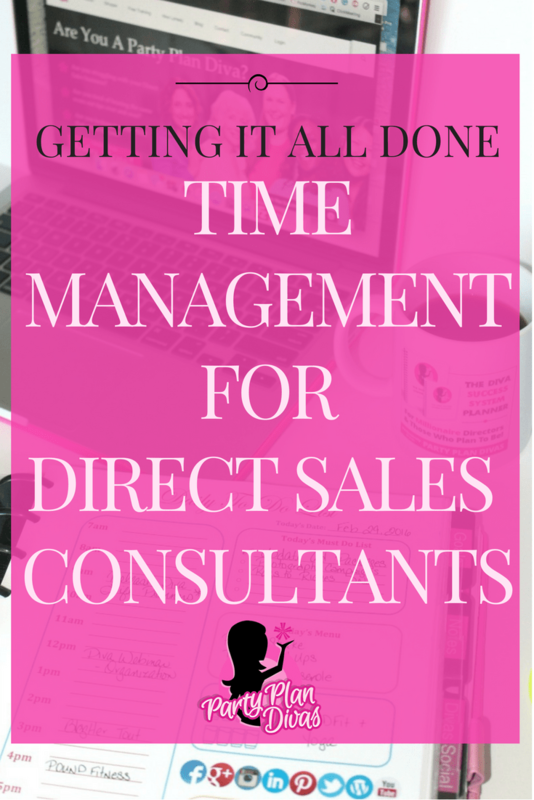 If you have other people needing a piece of your time – like I do with my coaching – then use a great Scheduling Software that integrates with your online calendars. Because I love Gmail I also use a Google Calendar, which is synced to CalenGoo – my #1 app on my iPhone. To schedule appointments, I use ScheduleOnce, which lets me put in my availability and I can email anyone needing my time my personal link to schedule an appointment. As soon as they do, it updates my Google Calendar, which updates CalenGoo – and even color codes it for which “hat” it is associated with. It also removes that spot on the availability so I literally cannot double book myself. When I confirm any appointment, I also write it in my Diva Success System Planner – which is what I use every day on my desk to stay on track. and C – because myPlanner is never out of arms reach, I have absolutely everything I need for any kind of appointment or event at my fingertips. In other words, YOU acquired this behavior by doing it over and over and over again to the point that now you do it almost on autopilot. Do you know someone who is ALWAYS late? That is a habit they have formed. It’s not a trait – they aren’t even intentionally being rude (although nothing will get me tick me off faster than someone being late) it is just a habit they have created for themselves. To truly get control of your life and your time, you have to get rid of the habit of disorganization and crappy time management skills by creating a new one. Habits cannot be broken – they must be REPLACED. So you have to commit to being very very strict with your Time Management UNTIL your NEW habit is everything running smoothly, and effectively. If you are struggling with Time Management and Disorganization, start NOW on making a change. The longer you put it off, the harder that habit will be to break. Stop what you are doing right now and do these 5 tasks. Then set reminders on your phone to go off and remind you to do a “brain dump” EVERY DAY. Keep your calendar or planner with you – all day, every day. And get committed to getting control of your time. Trust me when I tell you in just a few days you will start feeling more focused, more efficient, and less stressed out.